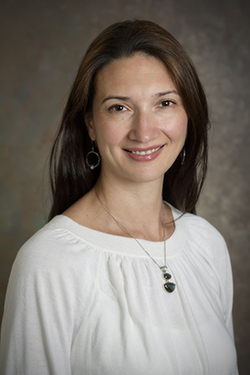 Olga Gorbachev is an associate professor of economics at the Lerner College of Business and Economics at the University of Delaware. Her research centers on understanding the impact economic instability has on household welfare. Economic insecurity is also linked to economic inequality. It plays a major role in household decision-making and in the response of public policy that insures individual livelihoods from exposure to risk. Prior to joining the University of Delaware, she was an assistant professor (lecturer) of economics at the University of Edinburgh, Scotland. She received her Ph.D. in economics from Columbia University and her B.A. in economics from Brown University. “The Credit Card Debt Puzzle: The Role of Preferences, Credit Risk, and Financial Literacy.” (joint with Maria José Luengo-Prado), the Review of Economics and Statistics, forthcoming. “Ethnicity, Housing, and the Rise and Decline of Wealth.” (joint with Brendan O’Flaherty and Rajiv Sethi), Review of Income and Wealth, forthcoming. “Consumption Volatility, Liquidity Constraints and Household Welfare,” (joint with Keshav Dogra), the Economic Journal, v.126, issue 597, Nov. 2016. “Has the Increased Attachment of Women to the Labor Market Changed a Family’s Ability to Smooth Income Shocks?” American Economic Review, v.106, issue 5, May 2016.